In San Bernardino, California, children are going missing. The townspeople don't believe the rumours of trolls, but fifteen-year-old Jim Jnr knows that they're a very real threat. At night, is anyone safe? 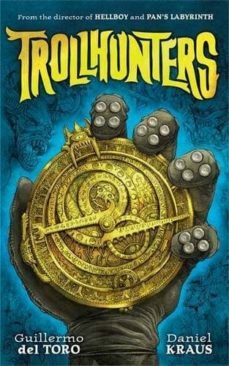 Trollhunters is a funny, gruesome and undeniably del Toro-esque adventure perfect for teen readers and fans of Pan's Labyrinth.